Dubspot is very proud to announce a brand new course created by composer, educator, and master of experimental music Raz Mesinai. Advanced Music Production and Performance Concepts with Raz Mesinai offers a fresh approach to electronic music production and performance. Learn to approach music production and performance in a brand new way! 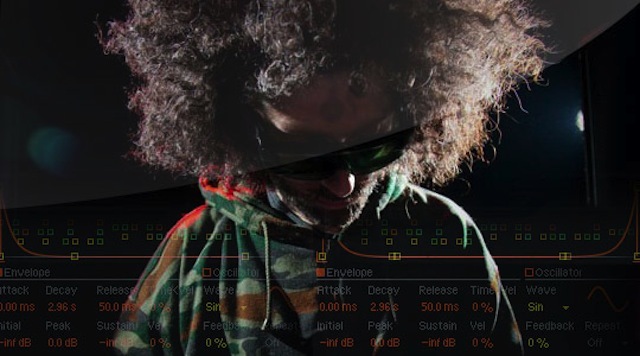 Explore alternative music composition techniques and performance concepts and ideas with experimental music composer and educator Raz Mesinai using Ableton Live. All you will need for this course is a computer (Mac or PC with broadband internet and a web browser! ), Ableton Live 9 Standard or Suite, and a MIDI controller keyboard. A three-month long course divided into three sections, organizing and developing a sound library, composition on and off the grid, and performance! Below, each level is further broken down for you to see what you’ll learn. Students will develop their own sound libraries by recording and processing acoustic material (such as drums, percussion, winds, and strings) and sounds from the world around them. By the end of Level 1, students will have developed an original sound library of kick drums, sub bass, percussion, effects, stabs, drones, and complex rhythmic loops. Students will learn unique concepts to assist them in extending their arrangements into developed and dynamic compositions. Students will also learn techniques to improve workflow and overcome the age-old problems of writer’s block and finishing music, focusing on key points such as dynamics, subtraction, off-the-grid techniques, polyrhythms, creative mixing, and advanced effects. By the end of Level 2, students will have created a dynamic original composition, a remix, and a collaboration with another student. In the final level, students will break down their compositions into modular parts to reinvent their music in a performance setting. Students will learn about alternative playback devices, live recording and processing, and using effects and controllers to develop a custom performance rig. By the end of Level 3, students will have built their own custom performance rigs, using alternative playback devices and effects processors. Dubspot recently kicked off a brand new three-part video tutorial with Raz Mesinai. In the series, which Mr. Mesinai titled Soundboy Death Ray, we explore unorthodox production and performance techniques using Ableton Live. Check out part one, in which Raz explains how to design a versatile drum rack using Ableton Operator. Do stay tuned for the next two installments! Raz Mesinai (a.k.a. Badawi) will teach you advanced concepts and a unique approach to producing and performing with an entirely original sonic palette. This program will expand your production and composition skills with advanced recording, sampling, and effects processing techniques. You’ll explore new workflows and discover new ways to perform your music. If you are a producer or performer with some experience, this course will guide you through a brand-new way of working–even when using tools you already know. You’ll learn how to create a library of original sounds and use them to create your own unique musical style. You’ll also collaborate with fellow students, and explore new ways of performing your work.